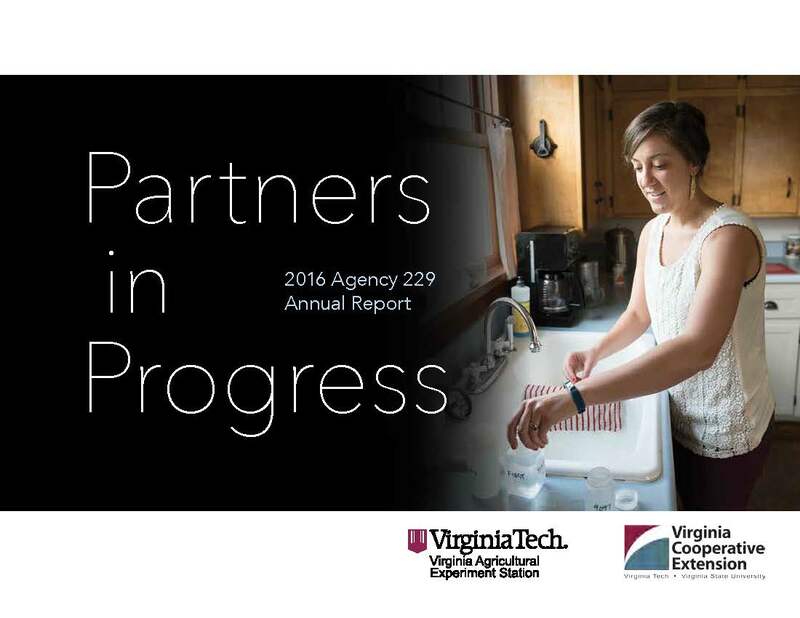 The new Center for Agricultural Trade at Virginia Tech is paying big dividends for the commonwealth and the nation. Recently the center found itself in the midst of the highly contested international trade relations negotiations of the Trans-Pacific Partnership. The topic? The heavily protected global dairy market. The center relentlessly produced up-to-the-minute export models during the negotiations, which were under discussion until the eleventh hour. The models provided clear-cut export scenarios that put the realities of trade tariffs into sharper focus. The International Trade Commission and the Office of the Chief Economist — a political body that reports directly to the president of the United States — used the models. Part think tank, part classroom, and part idea incubator, the center’s mission is to become the leader in creation and dissemination of information on agricultural policy for legislators, educators, and industry leaders. 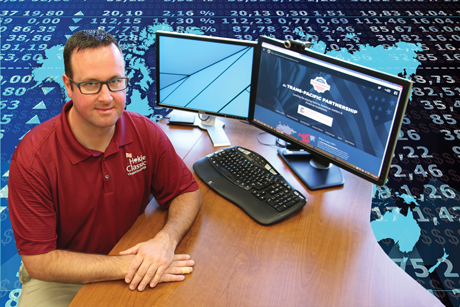 “With our proximity to Washington, D.C., and our port in Hampton, Virginia, we are perfectly situated to function as a practical resource for policymakers,” said Jason Grant, center director and associate professor of agricultural and applied economics. Participating in the TPP talks is just one example of the many ways the center plays a key role in shaping national agricultural policy. During the TPP negotiations that were held in Atlanta last year, Grant and his team provided key modeling information regarding the tightly regulated markets in the global dairy sector that paid off big time. The concrete gains and losses laid out in black and white allowed the U.S. to solidify a huge win for negotiations around dairy exports and resulted in gaining access to lucrative markets in previously out-of-reach countries like Japan and Canada. Now U.S. producers enjoy a duty-free quota in Japanese markets and have acquired access to tightly held Canadian markets. Items that run the gamut from cheeses and butter to milk powder and heavy cream are part of the product landscape that Japanese and Canadian consumers will enjoy thanks to Grant and his team. The impact of Virginia Tech-led agricultural research spreads far and wide from its original location such that research trials conducted in fields in Cambodia or India, for example, can have profound effects in not only those nations, but also at home. When the United States invests in international agriculture research, the return on investment is 20 to 50 percent, according to George Norton, professor of agricultural and applied economics in the College of Agriculture and Life Sciences. That calculation includes direct benefits to producers due to higher productivity, as well as indirect benefits to consumers who experience lower food prices. Less tangible socioeconomic benefits include enhanced gender equality, which allows women farmers in developing countries to empower themselves. “The United States is thousands of miles away from some of our research sites, but the impact of development research plays an important role in not just agricultural production research at home and abroad, but also in geopolitical stability,” said Norton. International investment in agricultural research is more than humanitarian and geopolitical in nature, however. International research creates economically symbiotic relationships between the United States and its research partners. Globally, agriculture is an important investment because agriculture is the largest economic sector in many developing countries. When farm productivity increases, the nonfarm sector is stimulated as well; the spending power of the entire population grows, and markets open up for goods produced in the United States, including agricultural products. “It’s no coincidence that our agricultural export growth rates have been highest in the developing countries with most rapid income growth,” Norton said.